For over a period of 30 years, Guy Richardson has been developing and leading High Performance Teams. Uniquely, he has worked in one of the elite armies of the world as well as one of the world’s most celebrated international sports teams. Guy was an officer in the British Army for 20 years and in 2004 joined The Scottish Rugby Union as the Scotland National Rugby Team Manager. 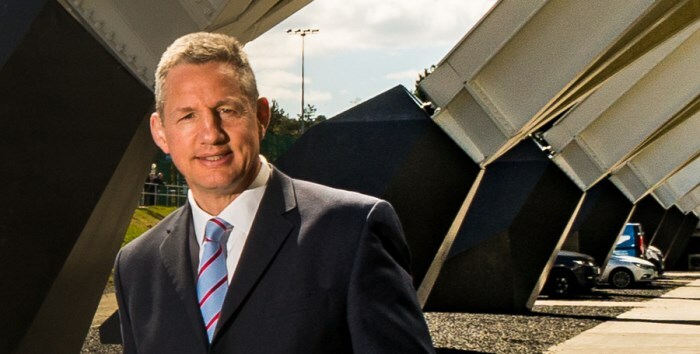 Following this in 2010, Guy became the Director of Operations for The British and Irish Lions Rugby Team, a job in which he was accountable for everything off the field of play. His collaborative leadership enabled him to get the very best out of stakeholders, all working to the one goal. Following the success of the tour in 2013, Guy founded his company EIGER Performance. Guy is a graduate of The Royal Military Academy Sandhurst and The Open University. Most recently, Guy has been recognised for his work with EIGER as a 2018 Finalist for Entrepreneur of the Year at the annual British Ex-Forces in Business Awards. Guy is regularly engaged to speak on a range of topics, drawing on personal experiences and learning’s from the military and the world of elite sport. His passion and drive for success for the years is infectious, and it is this passion that enables him to get across his key messages on leadership and team building so effectively to a broad range of audiences. Away from the business, Guy loves to keep himself fit and chooses to do this on his beloved bike spending hours and hours seeking hills and coffee shops! He also plays golf to a very average 18 handicap which reflects how often he gets on the course. With 2 grown up sons, he is always looking out for opportunities to watch them play rugby. "You were inspiring Guy and truly reached the imagination of every person in the room. Gerard has seen many speakers over the years so his comment that yours was the best he had ever heard was quite something. The next day I was bombarded with people coming into my office to say how much they had taken from the event."